RedRoy Mail - your update from Fitzroy Football Club. Anyone who’s seen Rory Angiolella play will know he always puts the team first. And he’s taken the same approach with his decision to relinquish the Fitzroy captaincy for 2018 to aid a smooth transition for the man to follow. But he hastily points out you won’t see anything change in his behaviour. Rory will still go in hard in the midfield for Fitzroy as he continues his career with the freedom of just being a player. The 2015 Premier B GT Moore Medallist has decided it’s time to hand over the reins and the club will announce the new captain at the season launch on 24 March. “I’ve loved every minute of my time as captain,” Rory said. “I’m incredibly proud and humbled to have had the opportunity to serve this amazing club. “It hasn’t been an easy decision to step down but I know it’s the right time and right decision for both myself and the club. I have a lot going on outside of football now and I couldn’t give the captaincy the time and energy it deserves. I’m looking forward to just playing and enjoying my football in a different capacity. Having made this decision, even the pre-season has been more enjoyable. “It’s nice being the voice (of the club) and I’ve grown to love the role but six years is a long time. I was thinking the other day that I can’t remember a time when I wasn’t captain,” Rory said. 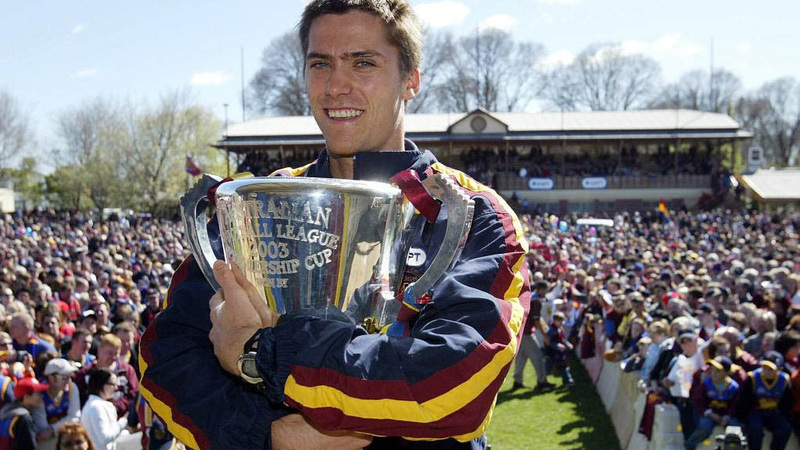 From the time he was 16, Rory captained the Fitzroy Colts Under 17s and then Under 19s - his first year in senior footy was the only year he didn’t carry the title. “There are a lot of other good leaders at the club who deserve a chance to be captain and I’m looking forward to seeing what they bring to the table. The man who saw the early leadership qualities of a young Rory and gave him the captain’s role in 2012, Michael Pickering, had only praise for Rory’s decision. 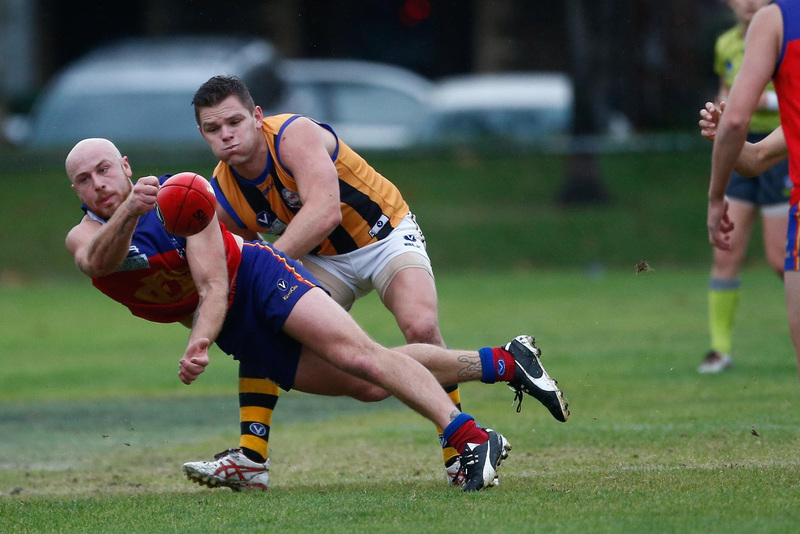 “Rory has always had the Fitzroy Football Club's interests at heart, which has been a constant throughout his captaincy tenure and reflective of his commitment to doing whatever he can to see the club constantly improve its position in the VAFA. “From his appointment in 2012, as a very young captain with little leadership experience, Rory has developed into an excellent role model at the club, both on and off the field. “His outstanding work ethic, passion for the club and willingness to challenge the playing group to continually strive for higher standards has had an undoubtedly positive impact on the culture of this great club. “While Rory won't be formally involved in any leadership role in 2018, his brave, forceful playing style and commitment to being a strong communicator, particularly with our younger Fitzroy players, will ensure his influence at the club remains significant,” Michael said. 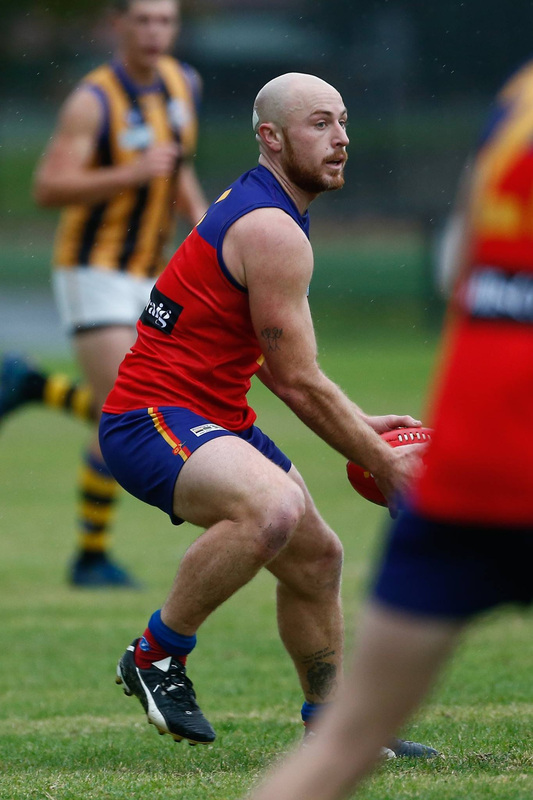 Fitzroy President, Joan Eddy also heaped praise on the outgoing captain saying he had shown outstanding leadership of the Club’s senior men’s team and the men’s teams generally over the last six years. “You’ve been an inspiration on the field and a wonderful mentor off it, and a great support to our women’s leaders as well. “The supporters adore you and we’re very glad you’re still playing this season. It will be so important to have you around this new young group of senior players and leaders,” Joan said. We’re looking forward to what he can produce without the pressure of the captaincy. From everyone at Fitzroy, thank you Rory. The captains of all Fitzroy’s teams will be announced at the season launch on Saturday 24 March after we host pre-season games against Marcellin. Everyone is welcome to join us at the Fitzroy Victoria Bowling Club from 6pm. 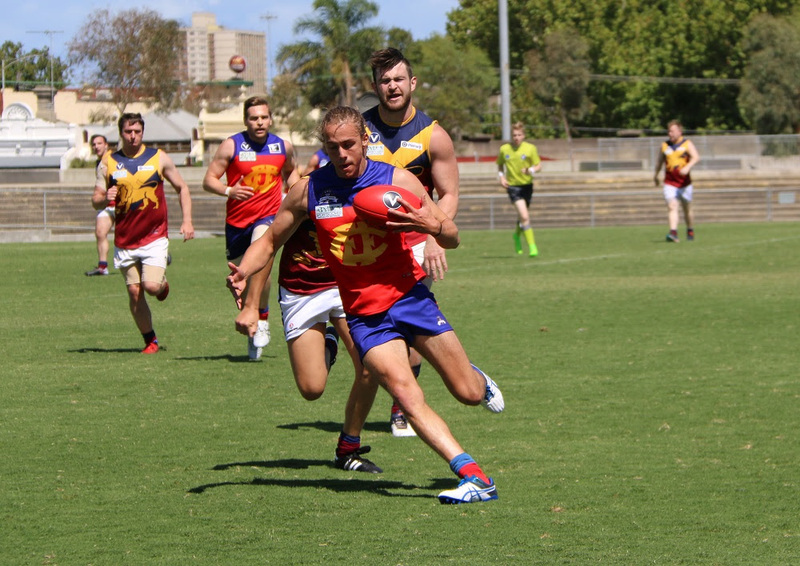 Both of Fitzroy’s senior coaches were pretty happy with what they saw at Victoria Park on Sunday as the teams played their first practice matches of 2018. The men’s senior squad played in two squads over six quarters against Division 1 side, Therry Penola, and Fitzroy’s senior coach Luke Mahoney said it was good to test out new set ups in real playing conditions. “I was pretty happy with the implementation of what we’d been training and with the way we moved the ball,” Luke said. The other positive buzz around the ground was the combination of young talent stepping up another notch and the return of a number of classy players. Toby Hudson Bevridge, Tom Biscaro, Matt Kyrousis and Michael Cussen make a welcome return from various travel adventures, whilst a raft of new players have been training with the club, including Josh Robson (from Darley in the Ballarat League), Seamus Bromley, Sam Bowers (from Rutherglen), Tom O’Donnell (from Ivanhoe via Sydney) and Glen Burns (from WA). The coach says if you add to the mix the younger Roy boys; Bernie Wright, Nathan Ligris, Max Davie, Martin Deasey and James Graham, who have all had strong pre-seasons, the squad is looking in pretty good shape. Last year’s revelation, Nino Lazzaro, has been training with Essendon’s VFL squad, and did not miss a beat when he ran onto the park on Sunday, kicking a goal within about the first 30 seconds. We’ll soon find out if we’ll get to see him at any stage this year at BSO or whether his great talents will be on display in the more senior competition. Good luck Nino! One of the other players who stood out in the earlier Reserves hit out, was 2016 Best and Fairest winner, Aidan Lambert, who turned on the after burners a few times kicking and setting up goals. He’s definitely an excitement machine. 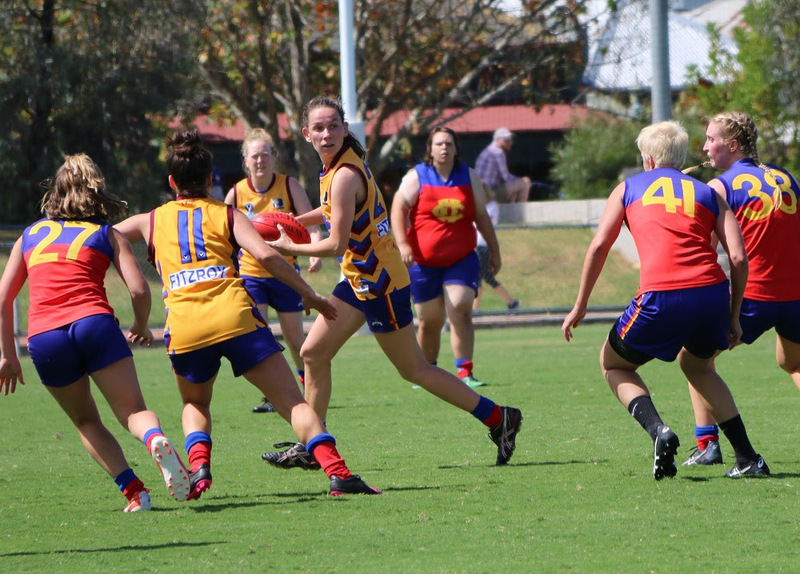 The all-Fitzroy-ACU women’s intra club game was an opportunity to see the full women’s squad play under the watchful eye of Women’s 1 coach, Mike Symons and Women’s 2 coach, Simon Jackson. Although scores weren’t officially kept, it would seem the ‘red team’ took the points and first up bragging rights for Jacko. After the game Mick Symons said he was pleased to see the improvement in the standard and thrilled with the numbers at training and available for Round 1. A number of players have been training with VFL squads, so it is hard to say whether there may be some losses of the top line players. The Red Roy will bring more details on some of the new players before the season starts. 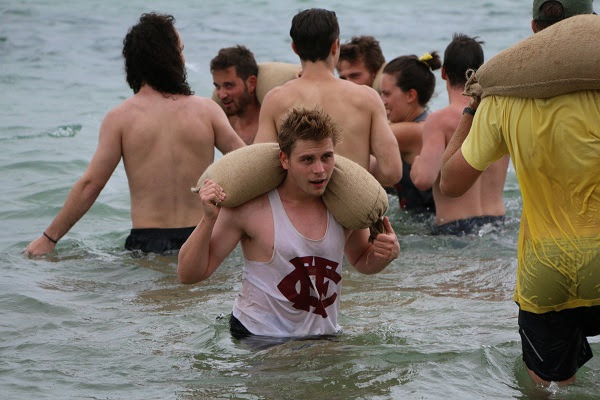 Both coaches said the pre-season camp at Portsea was a great team building experience with a focus on conditioning, team work and game plans, with almost 100 players participating in mixed groups. If you haven’t had a chance, check out the photos from the pre-season camp. There are two more opportunities to test game plans, combinations and structures before Easter and then the season start on 7 April. Next week Fitzroy’s teams will travel to Garfield to take on Caulfield and the following week we will be in the City of Yarra (grounds to be finalised) taking on Marcellin. Keep an eye on Facebook for more details. Garfield FC will be running their canteen and the social club rooms will also be open. Followed by the season launch at the Fitzroy Victoria Bowling Club. He’s hit the ground running and he’s getting our team primed for the season. But if you want to know a bit more about Senior Coach Luke Mahoney and his plans for the senior men’s team, you’ll need to come along to the first pre-game lunch of 2018. Fitzroy opens its account with a home game on Saturday 7 April at Brunswick Street Oval against Old Mentonians and we’ll be keen to get the Premier C season off to a flier. 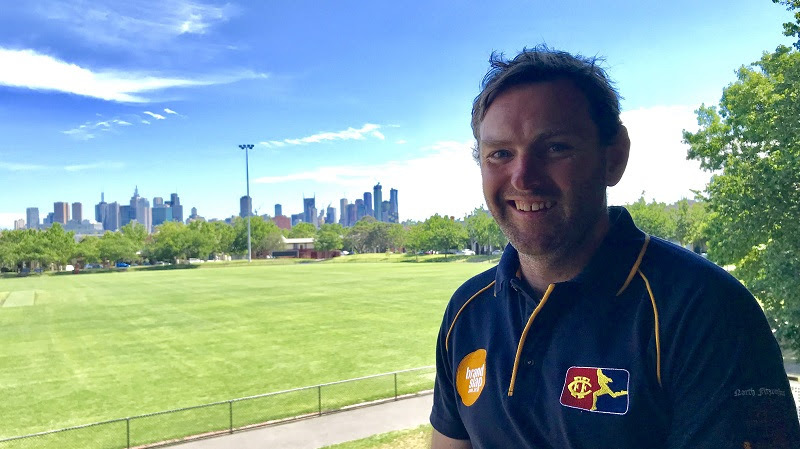 The new coach will give you some insights into the new talent on field and what type of game you might expect from Fitzroy this year, when he continues the tradition of the senior coach addressing the first lunch of the year. Brisbane Lions and Fitzroy champions of yesteryear will feature in an ALF 9s tournament at Brunswick Street Oval on 8 April and you’re all invited. Brownlow medallist and triple premiership midfielder Simon Black is the first player named and others will be revealed soon. The game can be played by anyone over the age of 15 and a very limited number spots are still available for potential participants – email melbourne@lions.com.au for further details on how to be involved. Kerry’s famous BBQ will be running for the day and we’ll be hosting a tent for membership sign ups, merchandise sales and more to ensure the Fitzroy colours are well represented. Come on down and join in the fun. 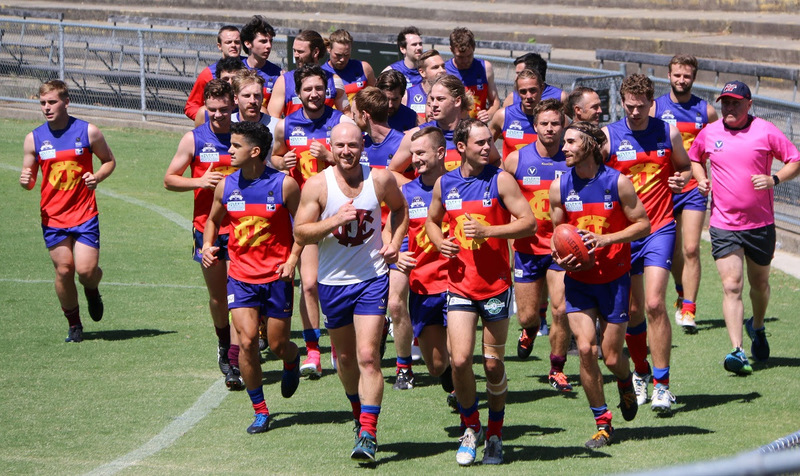 Keep watching Fitzroy and the Lions’ social media for more details of who will be playing on the day. A post-game ‘recovery’ session will be held at the Brisbane Lions’ official supporters venue in Melbourne, and home of our sponsor, the Royal Derby Hotel (446 Brunswick Street, Fitzroy). The Fitzroy Board and Coaches have decided to put our considerable community support behind another great Fitzroy institution, St Vincent’s Hospital. 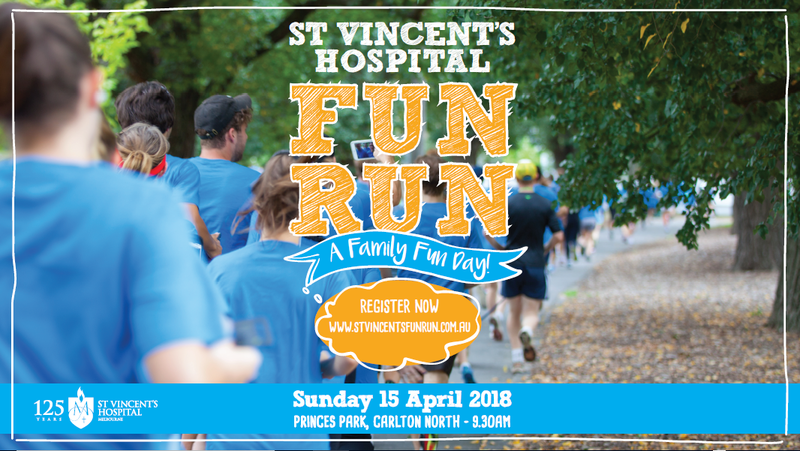 St Vincent’s turns 125 years old this year (just 10 years younger than the Fitzroy Football Club) and we are entering a team in their annual Fun Run. The Fun Run is at 9.30am on Sunday 15 April at Princes Park. For the history buffs, way back in 1896 at the Annual meeting of the Fitzroy Football Club, a special thank you was offered to the staff and management of St Vincent’s Hospital for their help with injuries and accidents throughout the year. Then in 1941 in VFL days, Fitzroy and Carlton played a charity match to support the St Vincent’s Hospital Appeal. Let’s see what we can do to support them this year. Participants are being encouraged to wear their pyjamas in support of the 57,000 patients treated by the hospital per year. 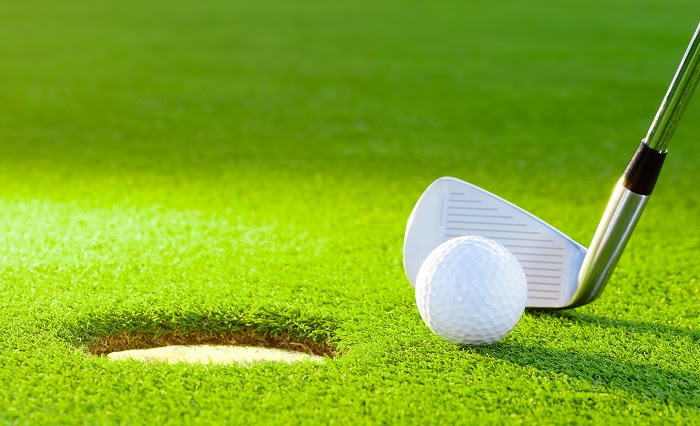 Officially bookings have closed for Fitzroy’s Golf Day on Saturday 17 March, but we’ll still take a sneaky late booking if you want to get online and do it now. You will need a partner and please tell us your handicap so Corbin Stevic can pit you against the appropriate opposition for our pairs day. The perpetual Chevy Chase Cup is up for grabs, along with some great prizes. 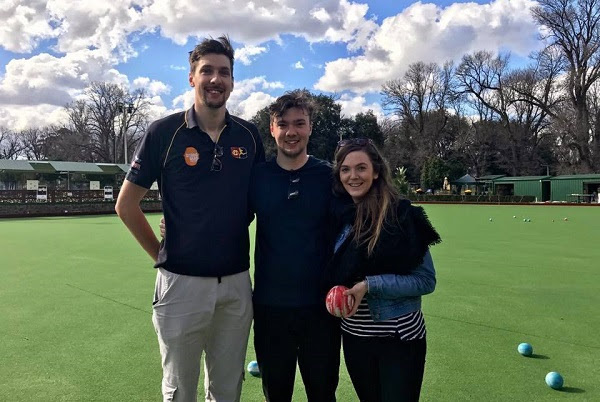 Gaitor and Co had better step up preparations to defend their Bowling Lions title at the Fitzroy Victoria Bowling and Sports Club. The Bowling Lions competition is on again on Sunday 29 April. Start getting your teams ready. More details will be coming soon. In the meantime, all Fitzroy members are entitled to an exclusive annual social membership at the bowls club, which is just $60 per year for unlimited social bowling, free BBQ area hire and a 15% discount on your beverages at the bar. That’s a great saving. When you sign up for a Fitzroy membership, you’ll be sent a form with your membership card. It’s a great deal from one of our loyal sponsors. Support your local Fitzroy Footy Club with a membership. We have a range of sponsorship options available.